At the event you will find prominent trendsetters and technology leaders who influence and set the pace for the next stage of industry innovation. It’s a great opportunity to engage conversations and explore a range of new ideas and print solutions that will inspire you. 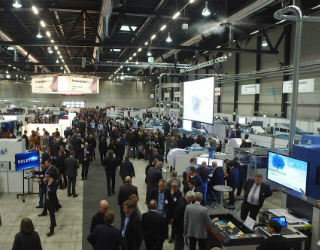 Hunkeler Innovationdays is probably the most suitable event to reflect the dynamic pace in which the printing sector is changing. This is the thirteenth staging of this important event, and this year’s theme is “success with automation”. Continuous workflow automation will be one of the focal points of the event. More than 100 leading suppliers will present their latest products, in the areas of pre-press, digital printing and finishing, inkjet, print media, software, consumables and finishing materials. Around 40 practical solutions will be exhibited in two modern exhibition halls. Several exhibitors have already announced the unveiling of some global and European premieres at the event. Check out the event’s website for more information or to register online: Online registration.